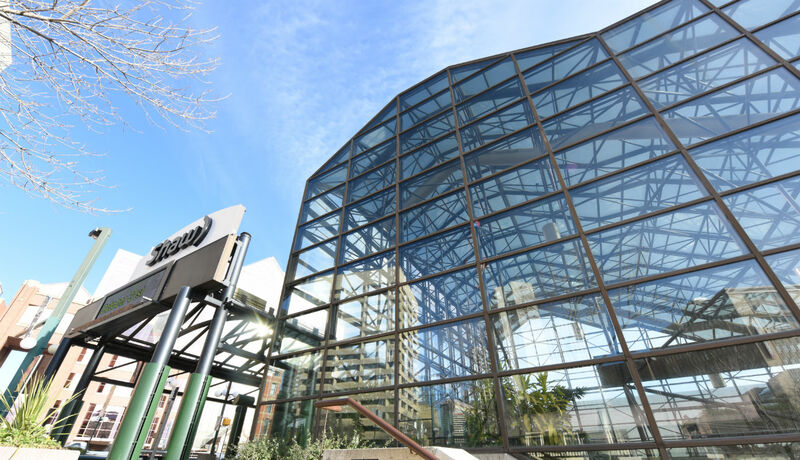 EDMONTON, AB – The Edmonton Convention Centre is pleased to announce it has received a Venue Excellence award from the International Association of Venue Managers (IAVM) that recognizes Edmonton’s downtown convention centre as one of North America’s top five performing public assembly venues. The Edmonton Convention Centre is the first Canadian venue since 2012 to receive this prestigious award. The Venue Excellence Award recognizes five IAVM venues of any type within the membership which demonstrate excellence in the management and operation of public assembly venues. This includes but is not limited to amphitheaters, arenas, auditoriums, casinos, complexes, convention centers, exhibit halls, fair/festival grounds, performing arts centers, race tracks, stadiums & university venues. To determine excellence in venue management and operations, IAVM used the following four criteria. “IAVM members manage public venues all over the world and we’re excited that the Edmonton Convention Centre has proven to be one of the best. The professionals who manage the Centre are to be commended for this industry achievement and Edmonton is fortunate to have a phenomenal asset that serves its citizens.” Brad Mayne, CVE, President and CEO. 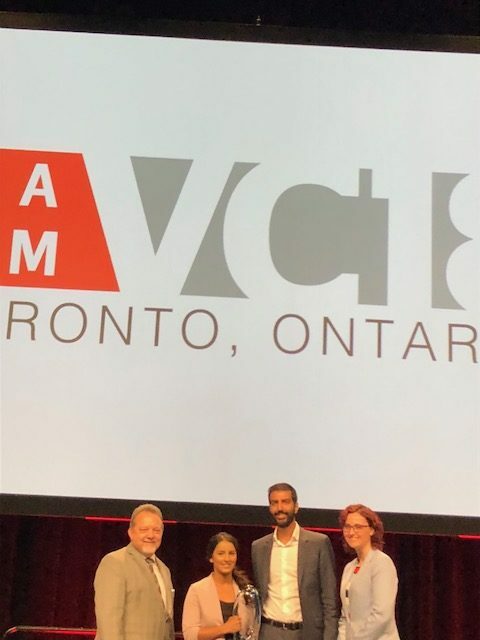 The venue was officially recognized at the annual IAVM Venue Connect Conference. In its 35th year of operation, the Edmonton Convention Centre has a vision to be one of Canada’s top performing convention centres. This year’s other recipients include the BOK Center (arena), Dr. Phillips Center for the Performing Arts, Intrust Bank Arena, and the Minneapolis Convention Center. The last Canadian venue to be recognized was the Vancouver Convention Centre in 2012, and venues recognized in years prior include Los Angeles Convention Centre, Anaheim Convention Centre, AT&T Stadium, MetLife Stadium, Georgia Dome and Safeco Field. The Edmonton Convention Centre was also recognized by Meetings Professional International Edmonton Chapter as 2018 Venue of the Year. It was also awarded the Human Rights Award for Excellence in 2008 by the John Humphrey Centre for Peace and Human Rights. For more information on the Edmonton Convention Centre’s impact, watch below. Managed by Edmonton Economic Development Corporation, the Edmonton Convention Centre has a vision to be one of Canada’s top performing convention centres. Everything we do is dedicated towards pushing the limits of providing the very best experience an event planner or guest has ever had, anywhere. Our team of event experts is ready to create a REMARKABLE experience for you. Contact us today by visiting ShawConferenceCentre.com. Founded in 1924 and representing public assembly venues from around the globe, IAVM’s 5,400 active members include managers and senior executives from auditoriums, arenas, convention centers, exhibit halls, stadiums, performing arts centers, university complexes, racetracks, and amphitheaters. IAVM’s mission is to educate, advocate for, and inspire public assembly venue professionals worldwide. More information about IAVM is available at IAVM.org or via @IAVMWHQ on Twitter.